BEAUTIFUL, MODERN DESIGN THAT TAKES ADVANTAGE OF A PRE-PRINTED DRESDEN PANEL BY MODA. THIS PANEL IS FROM THE COLLECTION "FROM OUTSIDE IN" BY MALKA DUBRAWSKY. 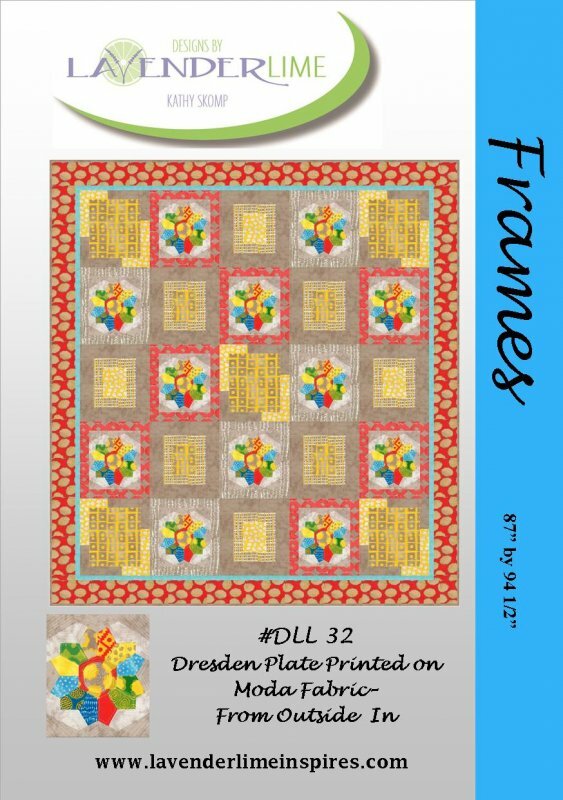 THIS PATTERN DOES NOT INCLUDE DIRECTIONS FOR MAKING A DRESDEN PLATE DESIGN.